During one of our scheduled closed days enjoy a very privileged VIP behind the scenes zoo animal experience and close encounter with some of the following species: Brazilian tapir, binturong, red kangaroo, giant tortoises, hornbills, reptiles or Hartmann's mountain zebra. A BIG CAT hAND FEED TOO! After some complimentary welcome drinks, join our keepers for a couple of hours going behind the scenes, meet and hand feed some amazing animals including one of our big cats. Round off your unforgettable experience by joining us for lunch. THIS BRAND NEW EXPERIENCE OFFERS A THRILLING DAY SPENT IN THE COMPANY OF SOME OF OUR MOST POPULAR ANIMALS AT THE ZOO! Welcome teas/coffees/juice, lunch and souvenir pack. This exclusive experience is only available Mondays or Fridays during our scheduled closed days over the Winter period. A maximum of 10 people will be booked on in one day, some activities may be shared. This exclusive experience is only available for people aged 18 and over. 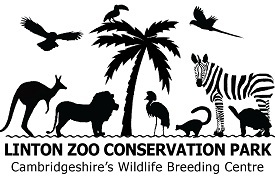 Under 18's and anyone not booked onto this experience will not be permitted entry onto the zoo grounds. Upon booking you will be asked which animals you would like to meet and we will plan your morning around this. As always with animals although we will try our best to accommodate your preferences we cannot guarantee your specified choice will want to play on the day, in which case a suitable alternative will be chosen.